I Love Italian Food Live in Milano: Thanks so much! I Love Italian Food Live in Milano has just ended with a big news. During our 100per100italian experience we have announced the partnership with NetAddiction, native digital italian editor and influential food & wine figure in Italy, with its main web magazines iFood.it and Dissapore.com. 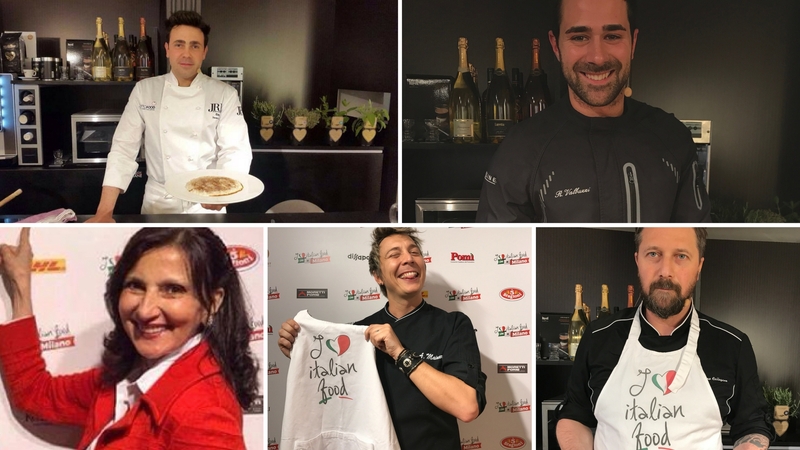 We want to thank all our guests, experts and passionate about the real Italian food, but mostly our our partners who support us in this project. Thanks to: DHL, Pomì, Moretti Forni, 5 Stagioni, Rotari, Goldplast, Molecola and Casearia Carpenedo. Thanks to NetAddiction, to the great food historian Francine Segan, to the Chef Andrea Mainardi, Chef Roberto Valbuzzi, Chef Stefano Callagaro and Chef Daniel Canzian.